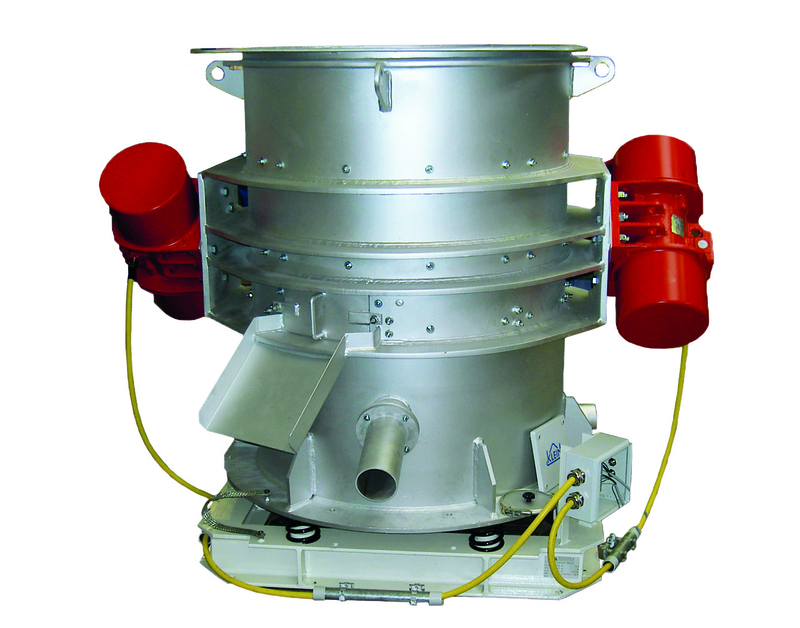 Sand processing machine for crushing of sand lumps in organically bound mold and cor used sand (Fig. 1, KLEIN Anlagenbau AG). 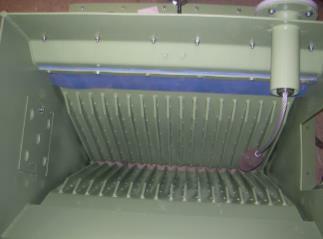 Mostly lump breaker integrated into sand recovery plants between shake out device and sand cooler (s. spiral breaker). Powerful, linear vibrations are disintegrating the lumps in the attrition sink and powdered them to sand (Fig. 2, Jöst GmbH & Co. GK). Following the attrition sink the oversize grains are screened out. They are typically used for the primary reduction of coresand blocks for big lumps of organic bonded molding and coresand. The sand block is mainly destroyed by squeezing it between two vibrating jaws. The width of the outlet gap is adjustable. The result: Small sand lumps, ready for further attrition.